This feature focuses on to the upcoming National Drugs Conference which will be held in The Radisson Blu Royal Hotel Golden Lane, Dublin 8, 4th & 5th November, 2010. One of the conference organisers, Tim Bingham, a drug education worker from Co. Kerry, discusses the upcoming conference with drugs.ie. In doing so, Tim provides some general insights into the conference and also shares some of the hopes and visions that a conference of this nature can aspire to. Full conference programme and registration details are provided below. The Irish Needle Exchange Forum (INEF) was established by Tim Bingham in the latter half of 2008. In November 2009, the INEF held its inaugural conference in The Malton Hotel, Killarney, Co. Kerry. The 2009 INEF conference in Killarney was largely focused on harm reduction, and featured speakers from National and International drug and alcohol services. The drugs.ie multimedia section features video recordings of last year’s conference talks from: Shane Butler, Tony Duffin, Tony Geoghan and Rick Lines. Last year’s conference proved a popular event, with over 150 delegates in attendance. Feedback from last year’s conference has subsequently prompted the organisers, now working closely with an advisory group, to take a different direction this year. Rather than focus solely on the harm reduction model, this year’s conference also brings the abstinence model into the fold. In addition, this year’s conference also encompasses alcohol, as well as drugs; as reflected in our new National Drug Strategy (interim). Rowdy Yates- Iron Curtain Thinking: harm reduction, abstinence and the positioning of strange bedfellows. 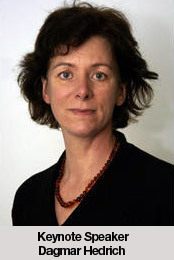 Senior Research Fellow and facilitator of the Scottish Addiction Studies group in the Department of Applied Social Science, University of Stirling. Stephen Bamber - Recovery and Harm Reduction: Strangers, Rivals, Partners or Friends? Stephen Bamber is based at Liverpool Hope University, where his research interests lie at the intersection of addiction, spirituality, and recovery and extend into policy, practice and critical theory. Stephen’s eclectic past informs his present. With a personal history of chronic substance use, homelessness, and experiencing (on both sides of the fence) the best and the worst of the UK’s drug treatment services, Stephen is a passionate advocate of recovery as a central organising and motivating principle for UK drug services. He authors &ldquoThe Art of Life Itself” blog dedicated to progressive thinking in addiction and recovery. Dr David Best is Reader in Criminal Justice at the University of Western Scotland. He was a senior lecturer in addictions in the department of psychiatry at Birmingham University, and worked for Birmingham DAT. Mat Southwell is a drugs specialist with both professional and experiential expertise who has a particular expertise in management, organisational development and network building. Mat has run local, national and global networks of people who use drugs and is a recognised expert in drug user organising. He has also worked in the health and NGO sector within professional drug services and a senior manager and professional head of service. Dr. Brion Sweeney practices as a psychiatrist in substance misuse in Dublin in the Health Service Executive and is Clinical Director for Drug Addiction Services for Greater North Dublin. Dr Sweene has been involved harm reduction approaches including needle exchange programmes, substitute prescribing since the early 90s and since 2000 with the development of care pathways for substance misusers. This has included research in brief interventions for alcohol and cocaine misuse and longer term detoxification and residential programmes for those who are opiate dependent. Dr. Joe Barry is Clinical Professor in Public Health Medicine and Head of the Department of Public Health and Primary Care in Trinity College. Dagmar Hedrich is a scientific analyst at the European Monitoring Centre on Drugs and Drug Addiction (EMCDDA), a Lisbon based, de-centralized agency of the European Union responsible for data collection and analysis on drug use and drug policies. The Honorary President of IHRA is Professor PatO’Hare who was the Executive Director of IHRA from its founding in 1996 until he stepped down in 2004. Patstarted working in the drug field in the mid-1980s when he became Drug Education Coordinator for Sefton on Merseyside and then Director of the Mersey Drug Training and Information Centre in Liverpool. In 1989, he founded the International Journal of Drug Policy and was the Editor from 1990 to 2000. In response to the interest created by the innovative ‘Mersey Harm Reduction Model’, Patinitiated the First International Conference on the Reduction of Drug Related Harm in 1990. Dave Gordon is Team Coordinator, Harm Reduction Unit, inSouthampton hehasbeen working in the field for over 15 year andstarted as a youth worker. He joined the NHS, delivering prescribing services for IDU’s in Southampton, of which hebecame prescribing coordinator. In 2003 he completed a needs assessment for harm reduction services and 2004 opened a unit including wound care, inoculation programmes, health assessments and NXIn 2006 hewas presented an award by The Home Officeas practitioner of the year for his work managing the local needle exchange and for his tireless efforts to provide support for service users.. Since then he has continued to develop harm reduction services in Southampton. Neil Hunt (MSc Social Research) is an Honorary Senior Research Associate at the School of Social Policy, Sociology and Social Research, University of Kent ; Honorary Research Fellow with the Centre for Research on Drugs and Health Behaviour, London School of Hygiene and Tropical Medicine; and, Director of Research for the treatment agency KCA (UK). He also works as a freelance researcher and trainer. Danny Morris has been involved in the drugs field for over 20 years. He works as a development manager for an NHS drug treatment service in the UK and increasingly as a freelance trainer, writer and consultant focussing on supporting services and users in initiating changes that focuses on the sustainable reduction of drug related harm. Born Sligo 1949 Educated St Nathy’s College, Ballaghereen, Co Roscommon, and University College, Maynooth. Worked in the Entertainment and Catering business for many years before joining The Rutland Centre in 2001 as an addiction Counsellor. He was appointed Continuing Care Coordinator in 2002, and was Interim Head of Treatment Services from mid 2008 to end 2009. He is currently Head of Continuing Care and Deputy Director. Scott Kellogg, PhD, will lead a Transformational Chairwork Training from 6pm – 9pm Wednesday 3rd November 2010 at The Radisson Blu Royal Hotel Golden Lane Dublin 8. It is great to see so many people come together to discuss, such an important issue in our society today. exploring all the possible solutions and integrating all the different areas of expertise is Ideal. These kinds of conferences should be held all over the world by political governments.